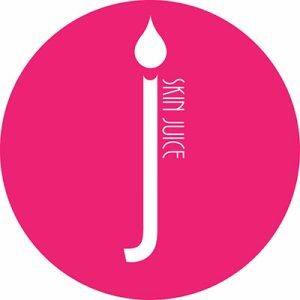 Skin Juice is a unique, Australian-owned and made skin care range using energizing and bio-compatible ingredients to cleanse, balance, repair and hydrate the skin. These healthy formulations are free from artificial sweeteners, meaning Skin Juice products will provide the skin with an essential diet for sustainable skin health. A beautiful fresh take on professional, naturally active and healthy Australian skincare. We have 4 deliciously juicy treatments on offer. Free from artificial sweeteners and packed with 100% nourishing goodness these organic, nutrient dense products will deliver naturally active results to your skin. Quench your skin’s thirst with skin compatible fruit and plant extracts. A super burst of antioxidants, ani agers and anti breakout actives provide a botanical diet for your skin. Scrumptious spreads and tasty toppings will be selected to target your individual skin concerns whilst an aromatherapy sensory experience will relax the mind and body to complete the treatment. All treatments are customised once we get to know you and your skin! Skin Juice products are on the menu for your picking to manager your skin’s diet at home. This mini facial will be customised for specific skin concerns. Enjoy a refreshing cleanse followed by gentle exfoliation to prepare the skin for a nutrient rich face mask, while a burst of skin quenching moisture will leave the skin feeling soft and revived. This treatment is topped off with a hand and arm massage. Enjoy Skin Juice’s signature aromatic journey as we balance the body to restore a peaceful mind. Freshly picked natural and organic spreads are selected to develop a treatment unique to you. A healthy juice cleanse prepares the skin for smoothing exfoliation and a nutrient dense treatment mask application. Skin-strengthening massage balms melt onto the skin throughout the luxurious face, back and shoulder massage. Your skin will be left glowing after scrumptious toppings hydrate and protect the face and eye area. Achieve a youthful, healthy glow with this exfoliating combination of skin smoothing plant acids and fruit enzymes. A rich diet of skin protective nutrients from seabuckthorn, seaweed and pumpkin will deeply feed new skin. This potent peel keeps the skin looking dewy and feeling soft wih hydrating ingredients that mimic the skin’s natural moisturising factors. Within an hour you will have rejuvenated, ‘brighter and younger looking skin. This gentle peel is designed to hydrate and strengthen sensitive skin. This treatment is also pregnancy safe. Unveil fresh smooth skin, while an infusion of nutritious berries and plums hydrate and quench the skin’s thirst. This super antioxidant rich treatment has the ability to help reduce sensitivity, while pure enzymes, lactic acid and vitamin C work together to exfoliate, brighten and plump the skin.